First of all, I’m a Liverpool wedding photographer, born & bred. Why should you get married in Liverpool? Well, as I’m a Scouser, why on Earth wouldn’t you? ? For those of you unlucky enough not to be born in the greatest city in the world, let me explain why Liverpool and Merseyside should be on your wedding radar for the best wedding venues around. Liverpool is on the rise. We’ve thrown off the shackles of history, and are now one of the UK’s safest cities, with the friendliest population, culture seeping from every street corner, and with tourists coming from across the globe to soak up our unique heritage. Liverpool now offers an incredible variety of wedding venues, from contemporary hotels to Victorian greenhouses. There’s a wedding venue for every taste and budget. I’m going to reveal my absolute favourites, along with a host of honorary mentions that might help when choosing your venue. These venues all offer something unique, that bit of magic that turns the ordinary into something extraordinary. So here we go. In no particular order; my rundown of the top wedding venues in Liverpool. 30 James Street is an iconic landmark in the city centre. There’s plenty of history at this imposing hotel, with a magnificent ballroom for the ceremony and luxury rooms for guests to stay. This is one of those incredible wedding venues that needs so little doing to it, and many couples book for that reason alone; the architecture is stunning enough without decoration. It’s great in the summer as the Carpathia Champagne Bar has balconies for the couple & guests to sip cocktails outside. The hotel is also perfect for a winter wedding, and dressed for Christmas it’s cosy and beautiful. The bedrooms are amazing and the black-velvet corridor on the 2nd floor cries out for experimental creative photographs! The Best Bits: Needs very little venue dressing. Enough rooms for all your guests. Grand Ballroom for ceremony and reception is jaw-droppingly lovely. Fantastic staff. Champagne Bar! The term “hidden gem” is overused when talking about wedding venues. Most venues aren’t hidden; if they were, they wouldn’t be in business very long. The Athenaeum in Liverpool is a rare exception. If you’re looking for a different type of wedding venue, this could be it. It’s a private members club, over two hundred years old, full of dignity without the stuffiness. It has an amazing library full of ancient texts that makes a sophisticated backdrop for the drinks recpetion. 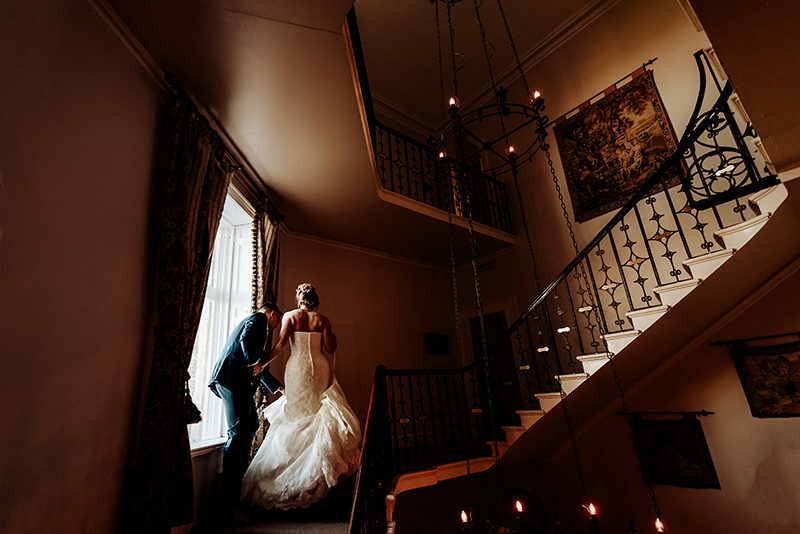 Weddings can be individually tailored to your requirements, offering exclusive use of the Athenaeum and access to the finest wine cellar in Liverpool. It’s also handy for a cheeky stroll through the city centre, if cool urban street photography takes your fancy. If you want to be different- I guarantee your friends didn’t get married here. The Best Bits: Hidden gem. The library. Your friends didn’t get married here. Oh Me Oh My is a fabulous little venue for the most intimate and individual of weddings. Located in the heart of Liverpool, opposite the cities iconic Three Graces, this historic venue was once the former bank of West Africa and maintains that grand interior design. 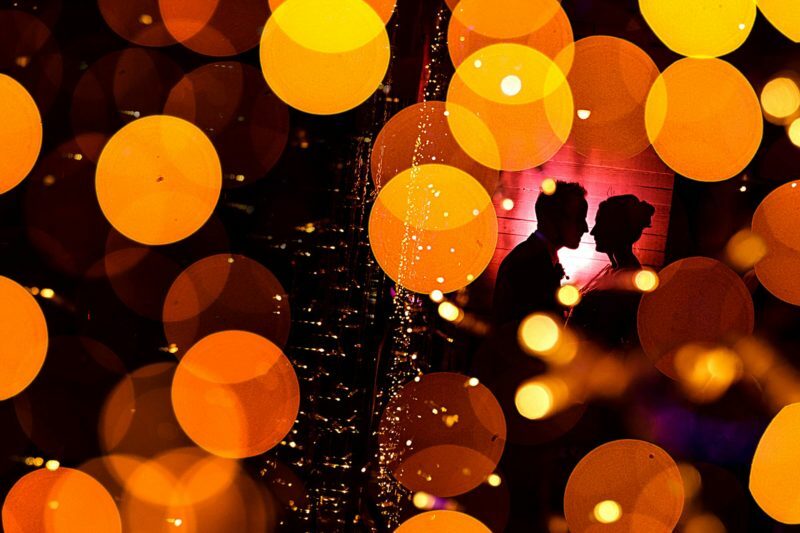 Oh Me Oh My is a wonderful blank canvas for you to go wild with your ideas, and they pride themselves on accommodating any kind of wedding inspiration you might have! They also have a rooftop bar available for exclusive hire that overlooks the famous Liver Building, though do check the weather forecast! The food is always amazing and the staff are fantastic. I love the ambiance at night when it’s dressed with strings of fairy lights! The Best Bits: The rooftop bar. The food. Exclusive use. The Titanic Hotel sits on a UNESCO World Heritage site! What a stunning wedding venue the Titanic Hotel is! If you want your venue to make a HUGE impression, look no further. Modern industrial architecture (bang on trend), the biggest wedding reception space in Liverpool (up to 600 people in the Rum Warehouse) and best of all, they have a rum bar. Pinch me. The Titanic Hotel is located on a World Heritage Site at Liverpool’s Stanley Dock. The building itself oozes character and has an impressive history. 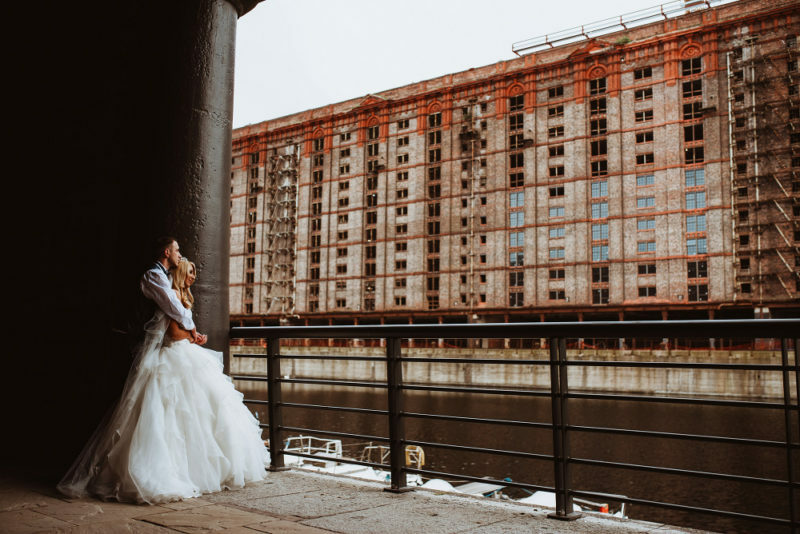 Your wedding guests will be fascinated to learn it was once part of the thriving Port of Liverpool, where rum and tobacco were imported and stored, leading to Liverpool’s economic golden age. Or maybe their eyes will glaze over. Whatever. The Best Bits: Industrial chic. Rum. The Anglican Cathedral overlooks the Hope Street Hotel and makes for an imposing backdrop! Set in heart of Liverpool on one of “The UK’s Best Streets”, the Hope Street Hotel is a stunning contemporary boutique hotel. It has incredible views over the city from the balcony bar on the top floor. Its swanky decor is individually designed with real hardwood floors, beams and designer furniture. 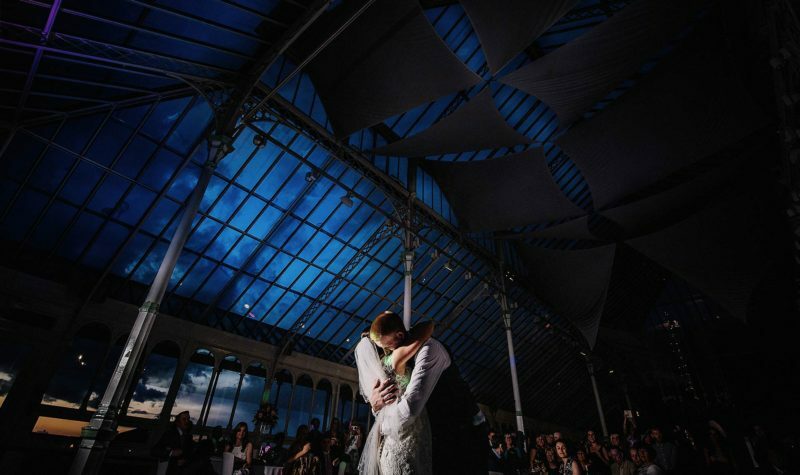 It’s a very special Liverpool wedding venue with a host of awards, and it’s where I proposed to my wife a few years ago too! The Best Bits: Individually designed rooms. The views. Hope Street culture. Rainforest showers! Located in Southport, Meols Hall is a beautifully rustic wedding venue. 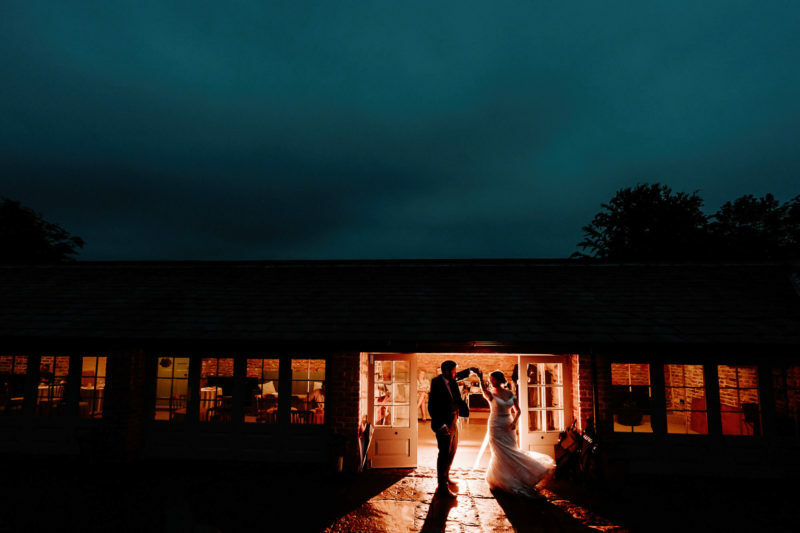 Wedding ceremonies and receptions are held in the 400 year-old Tithe Barn. The barn is wonderfully cosy when dressed for the evening party. Meols Hall offers plenty of flexibility. You can bring your own alcohol, and try and beat the record set by my cousins a few years ago (who literally drank the bar dry). The venue has a superb team on hand during the wedding day to make sure everything goes smoothly. 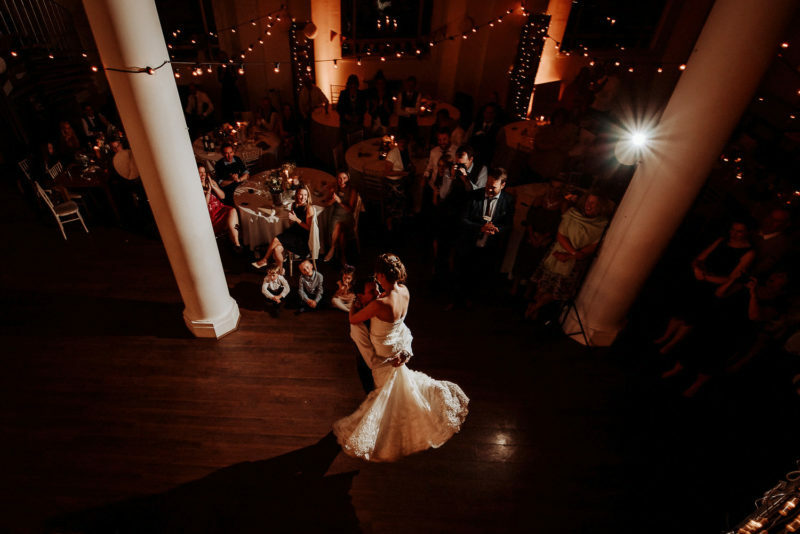 You’re sure to have a show-stopping wedding, especially since the grounds and buildings create the perfect backdrop for your wedding photographs. With its huge outdoor courtyard, Meols Hall is perfect for summer weddings. The best bits: Cosy barn. Rustic charm. Attentive staff. Plenty of outdoor space! 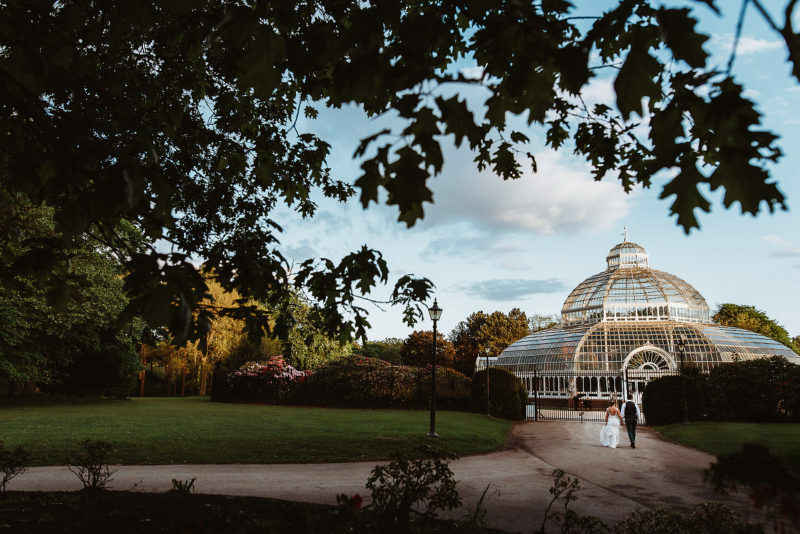 The Isla Gladstone Conservatory is a breathtaking venue in the heart of the recently restored Stanley Park in Liverpool. The Victorian glasshouse has been lovingly renovated and restored, and now nestles in picturesque rose gardens, sparkling lakes and historic sandstone pavilions. The sun-flooded interior gives a sense of warmth and light, and the landscaped grounds change with the turning of the seasons. Winter, spring, summer or autumn, midday to midnight, this beautiful space provides a perfect setting for your dream wedding. As long as your dream is to get married in a massive glorious greenhouse. The Best Bits: Incredible light. Perfect for any season. Want to feel like royalty on your wedding day? Look no further. Leasowe Castle is one of the North West’s most spectacular castle venues, and it’s where I got married myself 🙂 I loved this venue on my own wedding day and I love it just as much now for photographing. With amazing views over the Irish Sea, a luxurious setting for all sizes of wedding party, and one of the most welcoming & attentive staff I’ve ever come across, Leasowe Castle is simply one of the best wedding venues in Merseyside. It even has a red carpet on arrival. The Best Bits: The seaside views. I got married here. It’s a castle! The Palm House in Sefton Park, Liverpool. Wow. This is the wedding venue dreams are made of! If you dream of tropical plants, palm trees and Victorian orangeries, obviously. Getting married beneath a myriad of exotic flora in a gorgeous glass conservatory is escapism and beauty at it’s very best. Rain or shine, with its fully enclosed glass structure, your wedding day is going to be light, airy and beautiful. Their experienced events team will work with you to create a completely bespoke package to meet your every wish. A tremendous venue for those couples who really, REALLY want to make a statement! 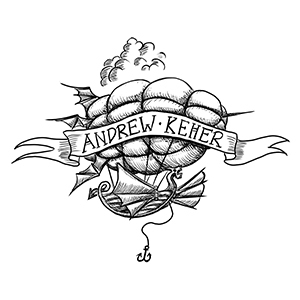 The Best Bits: Beautiful design. Perfect lighting. Gorgeous in any weather. Finally, something a little different. Boasting a stunning façade featuring portraits of Liverpool citizens, the Everyman theatre is an ultra-stylish inner city location. 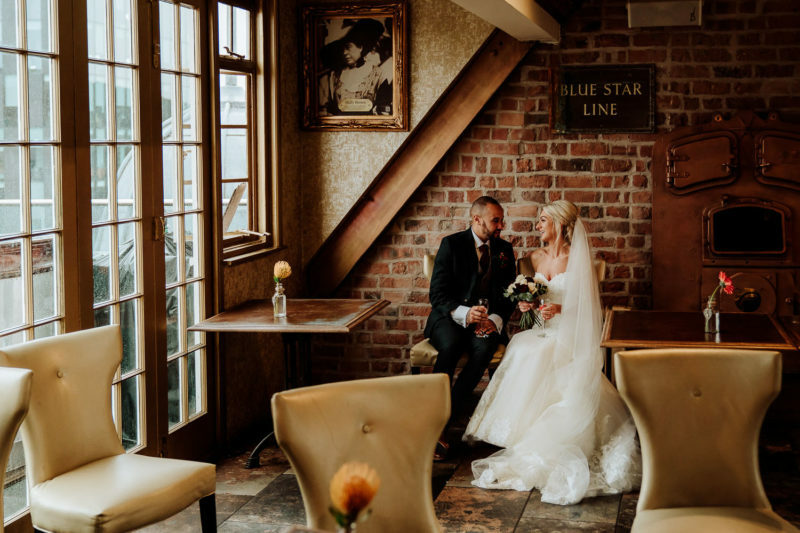 Unlike any other venue in Liverpool, the Everyman is essentially three venues in one; you can hold your ceremony in the theatre, host the wedding breakfast in the bistro restaurant, with an evening party in the theatre bar. The interior is a contemporary mix of glass, concrete & leather and with the right photographer you can be sure of creative images! 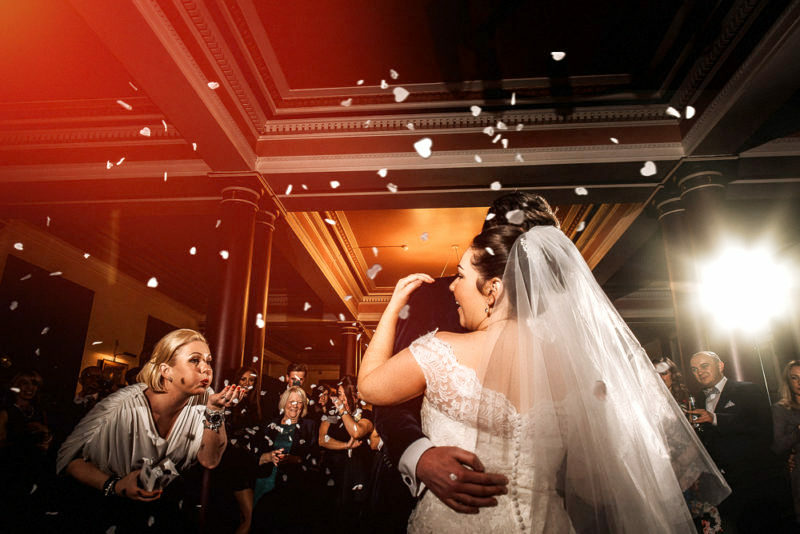 The Everyman can create a truly bespoke experience, making every wedding a unique event. Imagine an all-singing, all-dancing ceremony with full stage lighting & sound design, or a more intimate & cosy affair for smaller gatherings. The Everyman offers the expertise to cater for any theatrical vision! The Best Bits: Completely Unique. Ultra cool. Fabulous food. Liverpool has a fantastic collection of wedding venues covering every conceivable type of celebration. 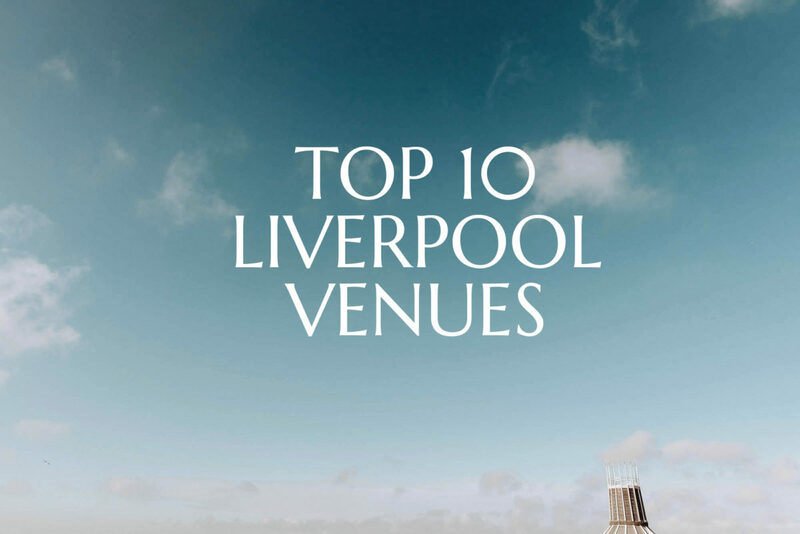 Check out these quality Merseyside venues that didn’t quite make my top ten list (but may do one day). Liverpool has some of the most famous buildings in the country. Try these on for size if you fancy grand architecture, history and heritage! Liverpool Town Hall is one of the most impressive venues in the heart of the city. The majestic building is full of history, and its elegant grandeur will make your perfect day even more memorable. The Main Ballroom boasts a trio of the finest Georgian chandeliers in Europe. You might even see the Lord Mayor wandering around. 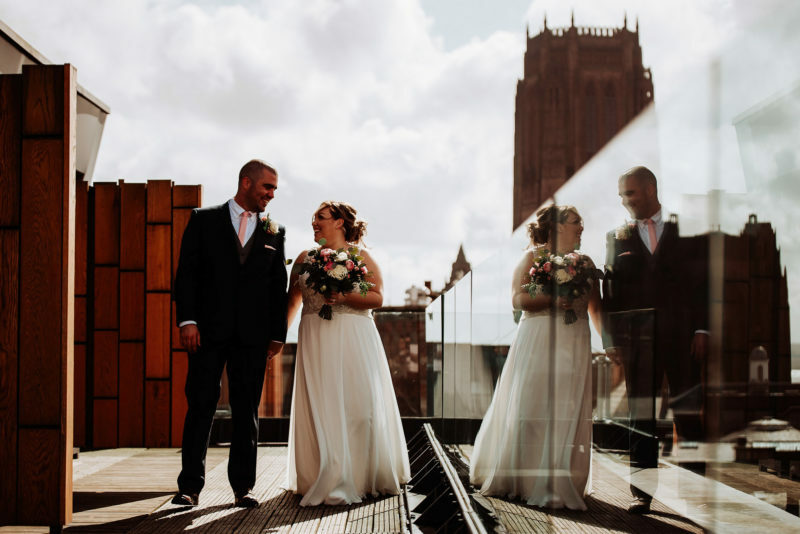 The Venue at the Royal Liver Building offers panoramic views over the Mersey, a private balcony and even a photo opportunity on the roof if you’re feeling brave! St Georges Hall is an ornate and beautiful wedding venue. The Great Hall provides a stunning setting under a vaulted ceiling, leaving your wedding guests undoubtedly impressed by its opulence. The Beatles Story is a unique wedding venue and home to one of the North West’s best kept secrets – an authentic replica of Mathew Street in 1960’s Liverpool, including a replica of the original Cavern Club! Is there a more fitting wedding venue for a true Beatles fan? Liverpool is famous for its bar & restaurant scene. These venues are perfect for smaller wedding parties. Enjoy a more intimate, relaxed wedding in one of these cosy locations, with fantastic food for everyone too! The Rum and Rumour Kabaret Bar at Ma Boyles is a beautiful Parisan-style bistro and bar set over two floors close to Liverpool’s historic docklands. The City Wine Bar + Kitchen offers a unique shabby chic environment (bang on trend) in the heart of Liverpool’s business district. They can tailor a drinks and food menu to suit your needs, and your guests will be smiling after sampling bespoke cocktails created by the wedding mixology team! The Casa at Revolucion De Cuba Liverpool will make your wedding reception stand out from the crowd! Want a wedding with a twist… try it the Cuban way, with exciting Latin entertainment as well as a tropical cocktail menu and a Latin-inspired cantina menu. Hard Days Night Hotel is the world’s first and only Beatles-inspired hotel, combining the highest quality facilities in a luxury environment. The hotel sits near the world famous Cavern Club and offers the perfect getaway for visitors, but is much loved by art lovers, music lovers, and food lovers alike, as well as offering a truly unique venue for weddings. The Garden of Eden Shankly Hotel is an amazing rooftop wedding venue. You’ll be inside a glass box with unrestricted 360-degree views of Liverpool city, along with a terrace area and two private bars for the ultimate in luxury. Hilton Hotel Liverpool is a spectacular city centre venue with views over the Albert Dock. Every part of this contemporary hotel has been designed with a story behind it, from the shape of the exterior to the reclaimed wooden floors. I love the cocktail bar here! Malmaison Hotel Liverpool resides on the Princes Dock in the stylish docklands. This striking 11-story building houses 130 trendy rooms that ooze luxury. I’ve had many meals here and the food and drink are exceptional. They do an afternoon tea wedding! Sign me up.